Lise did it July 17, 1938. Ruth did it in 1938 also. They got out of their binds, and eventually saw the hidden bonds that were broken and not broken. They understood. They were free. But it took the German system to bond them and free them against their will. Symmetry bonding and symmetry breaking. The same, in different ways. Lise Meitner crossed the border of Germany in July 17, 1938 into the Netherlands to flee from Nazi Germany for she was Jewish. From the Netherlands, Lise Meitner went on the Sweden where she and Otto Frisch discovered and explained nuclear fission: a form of bond breaking within the boundary of the atomic nucleus: a splitting of the atom by overcoming the surface forces of the nucleus. With that discovery Leo Szilard realized that an atomic bomb could be built. Szilard convinced Albert Einstein to sign a letter to Franklin D. Roosevelt starting the Manhattan Project. 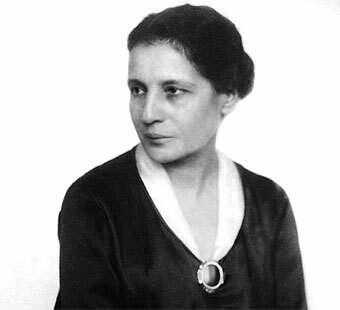 Lise Meitner, Mastermind Rational, (7 November 1878 – 27 October 1968) was an Austrian physicist who worked on radioactivity and nuclear physics. Meitner was part of the Hahn-Meitner-Strassmann-team that worked on “transuranium-elements” since 1935, which led to the radiochemical discovery of the nuclear fission of uranium and thorium in December 1938, an achievement for which her colleague Otto Hahn was awarded the Nobel Prize for Chemistry in 1944. Meitner is often mentioned as one of the most glaring examples of women’s scientific achievement overlooked by the Nobel committee. 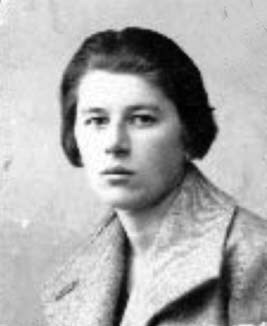 Nazi Germany forbad Ruth Moufang a professorship because she was a woman so she left academic life and joined the Krupps Research Institute in Essen. Ruth Moufang had developed non-associative systems called Moufang loops, a generalized kind of connection that has both a simple symmetry (a quasigroup with identity element) and non-bounded boundary (power associative). At Krupps, Moufang undertook research in the theory of elasticity. Ruth Moufang, Architect Rational, (January 10, 1905 – November 26, 1977) was a German mathematician. In 1931 she received her Ph.D. on projective geometry under the direction of Max Dehn She was responsible for ground-breaking work on non-associative algebraic structures, including the Moufang loops named after her. Moufang’s work, I would argue, have had important contributions to number theory, knot theory and the foundations of geometry. I would further argue, that implications of her work will have an important role in furthering information and communication theory. Meitner and Moufang, both exceeded their bounds and boundaries and limits to their ideas have yet to be reached.